Conifers turn yellow in the spring, what to do? Need landscape design, as well as safety standards, for example, for laying of overhead transmission lines, often force the land owners to carry out work on tree pruning. 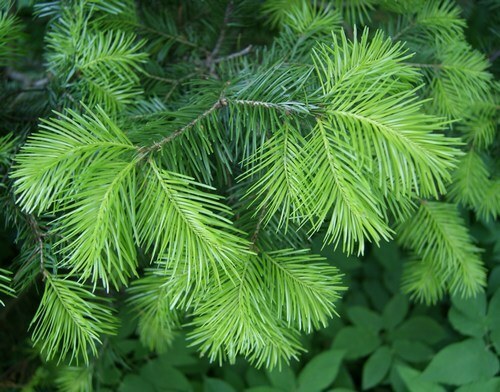 It is unfortunate happens conifers that grow slowly and serve as a real decoration of the site, so biologists are advised to carry a decorative trim to the tree. Spruce respond well to pruning, so if you don't want conifers grow tall, just cut from time to time the top of them. After this, the tree will form many new shoots will grow in breadth. Ordinary, not well maintained spruces have a conical shape, formed can form a ball, rook, and some species can even creep. Spruce should be cut once a year. Pruning can be sanitary or decorative. When conducting sanitary pruning inspect the tree to identify patients and dry branches. It is most convenient to do it in April when it appears and becomes noticeable fresh shoots. Using sharp secateurs cut enhanced dry branches and those that messed up during the growth, otherwise inside the joint formed by the fungus that destroys wood from the inside. Thick branches speel with a hacksaw, and environments treat the garden pitch. Such an operation can be considered a weed, as it rids the tree of all the excess, it helps light to penetrate deeper into the crown, has a General beneficial effect on the tree. During pruning decorative tree pruning certain parts of the branches for the formation of the desired shape and decorative appearance. This method of cutting is very similar to creating forms of decorative fences. You can even resort to using special tools (clawed scissors) instead of pruning shears, work which in this case will be very slow. Do not worry about what the tree at first will not look too thick, in place of the lopped branches will soon grow new shoots. Unlike sanitary, ornamental pruning experts advise to hold at the beginning of summer, because at this time the shoots are slow to grow. It is also necessary to consider the basic technology of trimming off the excess parts. The growth of the top of the tree dominates the growth of side branches. Cut off side branches and remove the extra part of the healthy branches to create a dense crown. Remember that place saw cut branches should be treated with special lubrication, especially the lower branches. Be sure to select the right tools to avoid damaging the wood, do not use blunt scissors and those are covered by rust. Also mention the features of ate, as the growth of its branches somewhat different from the arrangement of the branches of the other trees. Planting in the country require regular maintenance. This applies not only to berry bushes and fruit trees, but also to the common wild beauties grown in the area. 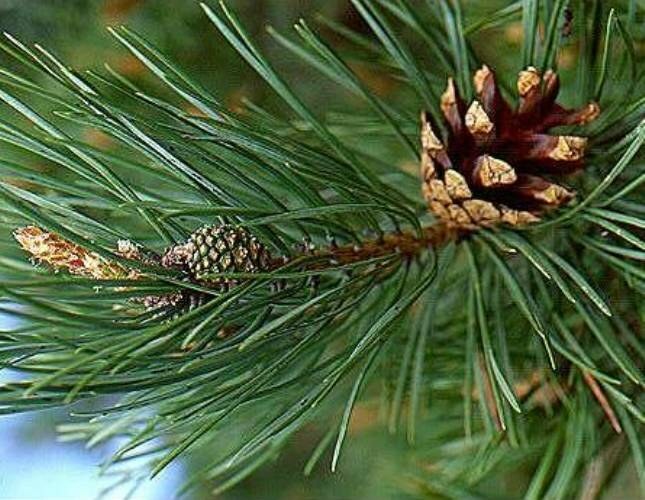 Is it possible, for example, to grow in the country the pine tree to pine tree, did not prevent other landings? For this it is necessary to trim the crown of the tree, and not just haphazardly, but according to a certain system. Such conifers as pine, grows annually. If you have a plot rooted small, say a four-foot tree, periodically arrange for him a kind of haircut that pine does not grow too much and are not shaded by other plants, preventing their growth. For this work, prepare garden shears. Choose the right time for tree care. Wait until the spring in the pine branches formed a sort of "candle" (growth). After they stop growing, creating little embryos of future needles, start pruning. Start processing from the top of the tree, and then proceed to cutting each skeletal branches separately. Leave the treatment of "penechki" the size of 2-5 cm Is necessary for the reason that accurately capture the stop increment is almost impossible. It is better to start pruning a little earlier completion of growth "candles", but the cut has finally grown needles is undesirable. It is possible that the cropped part of the later is a little older, and ultimately the annual growth will 1-2 cm more. Avoid treatment of circumcision growths on the needles. The tips from this turn yellow and acquire a slovenly appearance for a few years, because we live quite a long needle. If the needle is not damaged, that they eventually will rise and disperse; cropped sections of the place and the beginnings will not be evident, because the lower tiers grow medium. With unstable weather during the season, some growths may develop later than usual time. In this case, decide separately what to do with each of them. Start from the General form of the crown. If the candlestick does not spoil the appearance of a tree, leave it untouched. Prune only those gains that are significantly struggling from the entire series. Proceed with care, keeping the needle. The years when such care pine will be tidy, not too high and rather fluffy. 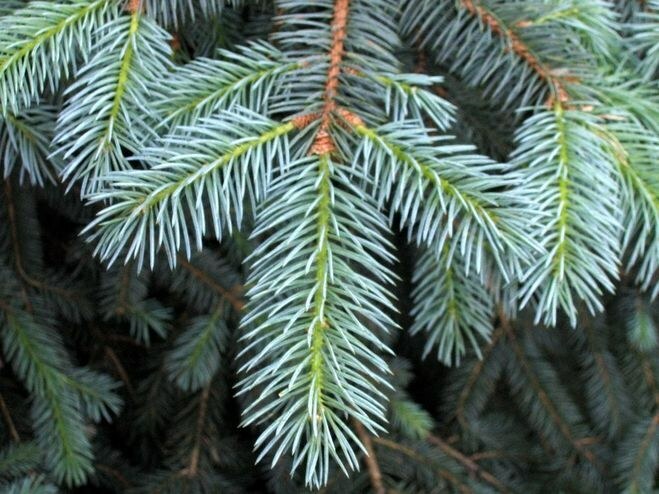 Spruce – evergreen tree of the pine family with a conical crown. In the same way as other trees, fir is needed from time to time subjected to pruning, especially because she carries it very well – instead of the cut down the top of the head is usually formed several new branches. Spruce pruning is of two types – sanitary and decorative. It is recommended to spend once a year - from late June to mid-July. During this period, the shoots of a tree ceases to grow, and after cutting eliminates the appearance of new secondary shoots. During a sanitary trim removing all the damaged, dry, broken, twisted and hanging down branches and coppice shoots are removed. Developing a beautiful, ventilated and pervious to light evenly chart. When pruning branches, aging or dry tops of capture and living part of the wood. If the branch is dried completely, cut it at the base. Conducting sanitary treatment of wood, please note the location of the branches. Be sure to trim small shoots in the crown were eating, sticking up at a right or acute angle. Growing, they can reach the same wood thickness, and a strong wind to break, leaving a nasty chip, spoiling the appearance of the tree. Made cuts exceeding 1.5 cm in diameter, should be left just like that. Such a wound can get contaminated with bacteria and cause various fungal diseases that can even lead to complete drying of the whole tree. To prevent this, spread the slice with pine tar, which emit fir. If broken-top spruce, trim the broken branch to the underlying. And then straighten past straight up so that it was a continuation of the trunk, and secure it to the rail. Decorative trim eating is a real art. It formed a beautiful crown of the tree. To create the perfect conical shape each tier is usually made shorter than the lower one-third. Decorative trim must take place in conjunction with sanitary.